The attorneys at Riley & Jackson, P.C. are experienced with all types of securities matters. We have handled claims against public companies and their officers and directors in class actions, individual suits by securities holders, and derivative lawsuits. We represent investors throughout the country. 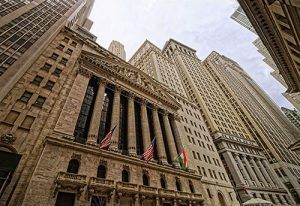 Whether your potential securities action is based on fraud, inappropriate churning of your account, or the placement of your money into unreasonably speculative or inappropriate investments, we have the experience to bring your claims to a successful resolution either in litigation or arbitration. We have a network of experts who will review your account documents to determine who is at fault. We offer a free initial consultation to evaluate if you have a case. Riley & Jackson, P.C., served as co-liaison counsel representing shareholders in the HealthSouth putative class action. In 2007, the shareholders and bondholders settled their claims against HealthSouth for $445,000,000. Settlements with other Defendants resulted in over $200,000,000 more for HealthSouth’s shareholders. Read more about our HealthSouth case results. In 2002, in what would prove to be one of a series of corporate scandals for the year, WorldCom declared the largest bankruptcy in American history. A class action against Smith Barney and its parent company followed when documents were discovered indicating that Smith Barney had caused an artificial inflation of WorldCom’s stock price. The attorneys at Riley & Jackson represented hundreds of Smith Barney clients who lost millions of dollars when WorldCom’s stock proved to be worthless and who opted out of the proposed class action settlement. After filing arbitration demands in more than 20 states and the District of Columbia and aggressively pursuing our clients’ claims, our lawyers recovered for our clients an amount that far exceeded what the investors would have received from the class action settlement. Riley & Jackson successfully represented over 100 individual investors who lost millions of dollars after purchasing Bear Stearns stock in reliance on misleading information that the company made available to the investing public prior to its collapse. Our lawyers have also recovered for clients who lost money as a result of financial mismanagement by their brokers on a smaller scale. We represent retirees and average investors who have lost money due to misconduct by stockbroker and investment advisors. For more information or to schedule an initial consultation with securities litigation attorneys, please call 205-879-5000 or send us an e-mail via this website.